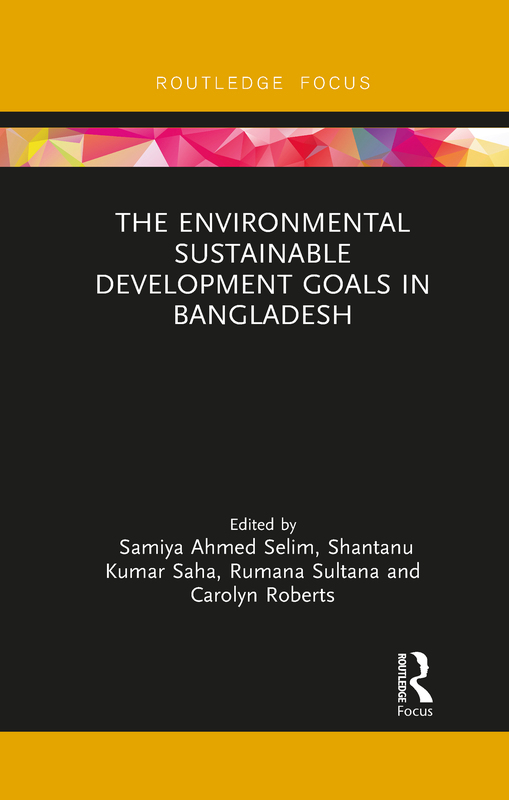 This book examines the key Sustainable Development Goals (SGDs) relating to environmental sustainability and provides a cutting-edge assessment of current progress with the view of achieving these goals by 2030. Within South Asia, the book pays particular attention to Bangladesh, as a country representative of emerging economies which are struggling to meet their goals. Drawing on the three pillars of sustainability, the volume addresses the following goals: Clean Water and Sanitation, Affordable and Clean Energy, Responsible Consumption and Production, Climate Action, Life Below Water and Life on Land (Goals 6, 7, 12, 13, 14 and 15). The book examines where progress has been made and why some key targets have not been achieved or will be difficult to achieve. The chapters focus on environmental sustainability in different sectors such as agriculture, renewable energy, fisheries and aquaculture and natural resource management. The aim of this volume is to highlight key lessons and recommendations on how research in the various sectors can feed into the pathway of meeting the SDGs highlighted in this book. The analysis derived from Bangladesh can be used as a reference point for other developing nations in Asia, and globally, with a view to guiding policy for the achievement of the SGDs. This book will be of great interest to students and scholars of sustainable development and climate change, as well as practitioners and policymakers involved in sustainable development and disaster management.